After a three year hiatus, Ariel Pink returns with Dedicated to Bobby Jameson, one of his best albums with a ‘retrolicious’ (his word) lo-fi sound that harks back to 2010 breakthrough Before Today. Like that album, Bobby Jameson features hit after hit with off-kilter yet melodic and beautifully arranged pop tracks throughout. Ariel Pink began his career as the quintessential bedroom producer – creating self-produced albums recorded in obscurity with extremely lo-fi production values, but showing highly attuned musical instincts on recordings that transcended the medium and influence-on-the-sleeve sounds. After releasing some lo-fi classics such as Worn Copy (2003) on Animal Collective’s Paw Tracks label, Ariel Pink’s Haunted Graffiti found mainstream indie success with Before Today, parking the quirkiness for a spell and presenting highly hummable songs with a sound like you were listening to an 1980s cassette tape. However, the two subsequent LPs Mature Themes (2012) and pom pom (2014, finally dropping the Haunted Graffiti moniker) have been more on the whimsical tip. An odd career move in a way, the ‘regression’ to whimsy and humour on those albums may have kept him away from even more mainstream success; although Pink was clearly following his muse, and there’s a heap of good songs on both albums. Listening to Dedicated to Bobby Jameson, one can’t help but compare the production values to Before Today. Indeed, the warm compressed sounds of both albums feel as if they were recorded at the same time, despite being seven years apart. But two commonalities are present here as with most of his discography: a good ear for a catchy pop melody – you can sing or whistle along, and an eye for impeccable arrangements of songs. Regards the title of the album, Bobby Jameson was a 1960s LA musician who flirted with mainstream success, but became a victim of the recording industry, never receiving royalties and struggling with substance abuse in the early 70s and poverty for most of his life. He resurfaced in the 2000s with a blog, YouTube rants and a book telling his story before passing away in obscurity in 2015, aged 70. 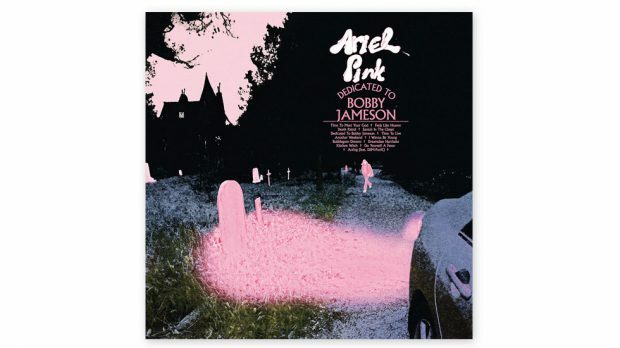 Perhaps because of the tragic theme of the album and Ariel Pink’s respect for Jameson’s music and struggles in the industry, he plays it fairly straight here – with great pop songs and ballads, not too many odd voices and a new-found sense of sincerity in many of the songs. Opening track, Time to Meet Your God, features a simple repeating fanfare of synth lines and drum fills. This is part of the Bobby Jameson theme that runs throughout the album – according to interviews with Ariel Pink, Bobby meets his maker to begin the proceedings in reverse order. Or something like that. But really, although the Bobby theme pops up here and there over the course of the album, ultimately it’s a strong album owing to the quality of the individual songs, so that the ‘theme album’ angle is not so front-and-centre (or distracting). Single Feels Like Heaven is an excellent mid-tempo pop song, replete with lush background vocals on the chorus that echoes The Cure, his all-time favourite band. The title track is another highlight, and certainly channels The Doors in parts with its keys and guitar noodlings, especially during the instrumental section. But the conspicuous retro sound does not to detract from the composition itself: from the build-up of the verses to the super catchy call-and-response chorus, this is what Ariel Pink does best – creating new songs with familiar sounds. One of the longer, more experimental tracks is also one of the best: Time To Live melds skeletal existential words throughout the first half to a simple drum pattern and increasingly denser guitar riffs that eventually gives way to a bridge, that itself gives way to a Buggles-inspired melody with the last section weaving most of these elements together for the close-out. Outsider? Certainly; but highly effective and a track that just be my favourite of the year so far. Pink shows off his pop chops with the pacey standout Bubblegum Dreams featuring handclaps and a start-stop chorus that is impossibly catchy. The slower I Wanna Be Young is classic Pink pop: some great bass lines, 80s synths and unabashed singing of some off-beat lyrics. The shoegaze styled Kitchen Witch features a sultry female voice that alternates with Pink’s chorus to make up yet another short, catchy contribution to the album. As punters who saw his last show in Perth at the Bakery in 2014 will attest, Pink is not shy of ballads, and we’re treated to several. Single Another Weekend is a cry in your beer ditty full of regret and resignation, an affecting ballad with nice musical touches throughout, such as the woozy breakdowns and bright melodies that keep the mood light. Bobby Jameson is not without its more whimsical tracks, such as the crooning and multiple voices on Death Patrol, the bizarre glam-musings on Santa’s In The Closet and the smutty, somewhat throwaway Dreamdate Narcissist. Closing track Acting features fellow LA musician Dam-Funk on production. The slow number with Pink’s oft-filtered vocals works a treat with Dam-Funk’s bassy jams. Although not quite in line with the rest of the album, the collaboration works surprisingly well, feeling more like a bonus track. Dedicated to Bobby Jameson will appeal to listeners with a keen sense of melody and arrangements, and who aren’t put off by Ariel Pink’s 70s and 80s stylings. For fans who began to believe Before Today was a one-off, Dedicated to Bobby Jameson is Ariel Pink’s welcome return to top form. Retro-delicious!